Click Here to Book Your 30 Minute FREE CONSULT! 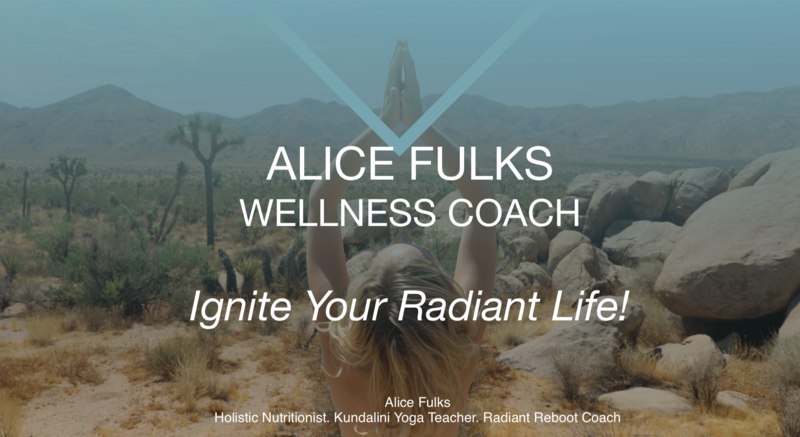 Let's Connect about how you can Ignite Your Vitality, Restore Your Body Temple, and Live Your Destiny! 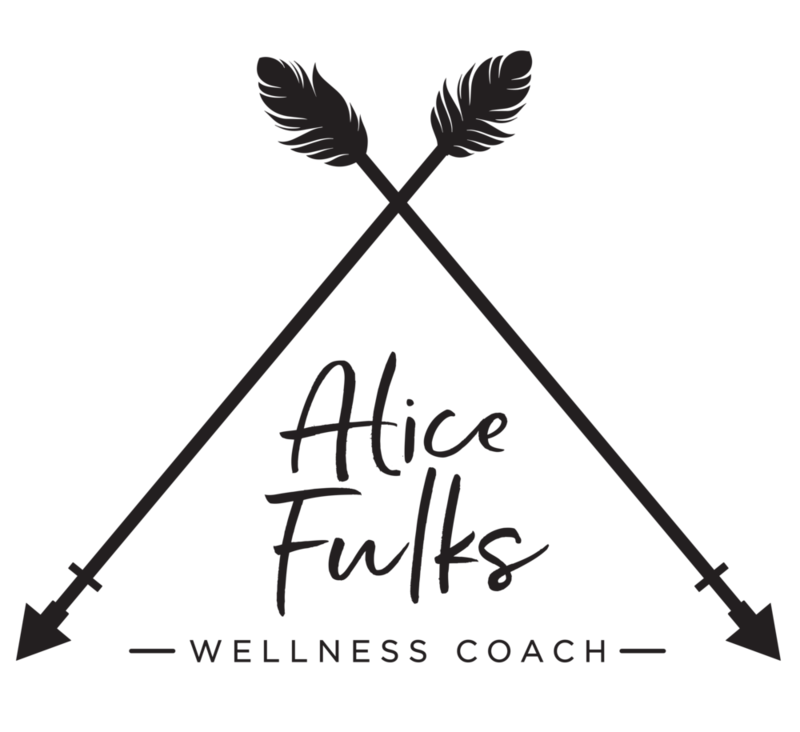 My name is Alice Fulks Certified Holistic Nutritionist, Kundalini Yoga Teacher, & Radiant Life Coach. I believe in the beauty of your dreams. I believe in your body's ability to be restored & activated as the temple of your soul. I believe in your beings ability to experience Radiant Wellness from the inside out! On my journey I have navigated the deep waters of chronic illness, addiction, co-dependency, & underneath it all- trauma. I recognize that a return to a Radiant Life is a comprehensive mind, body, spirit process which asks us to deeply commit to Self Love, Nourishment of our Being, & to step into the fullness of our Destiny. I believe the greatest thing we can do as human beings is witness & process with gentleness and awe our life experiences and challenges and to alchemize this energy into light, power, & purpose. The coaching programs & retreats I offer are the curation of potent & transformation practices. May these offerings serve you on your earth walk. 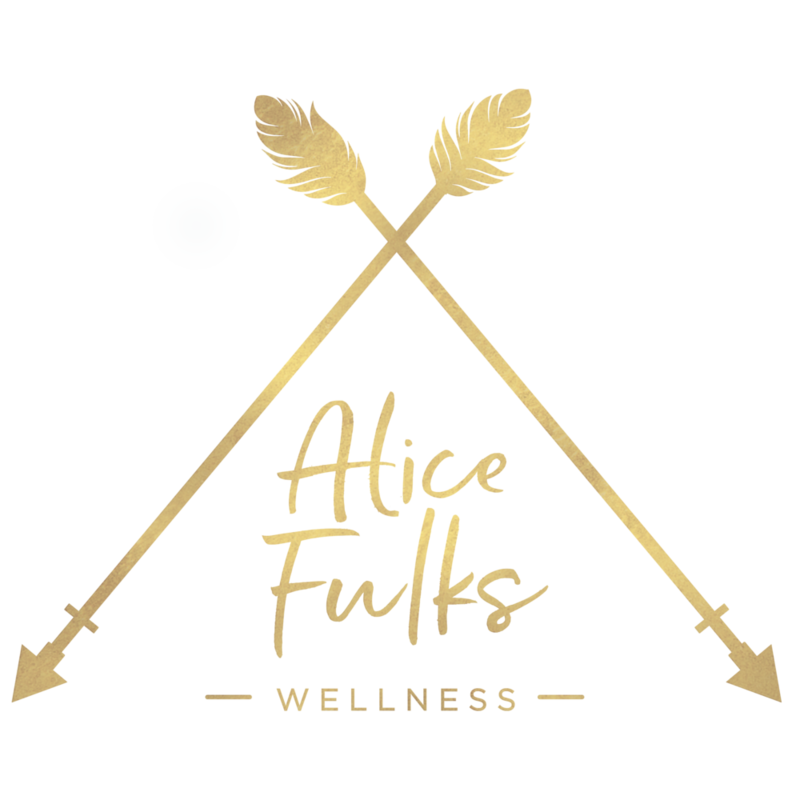 "Alice Fulks is by far one of the most dynamic and powerful leaders in the world of Holistic Healing and Deep Transformation. She understands the relationships between mind, body and spirit and how to facilitate the safest and most effective experiences for lasting change. If you are serious about your health, wellbeing and freedom - look no further. " 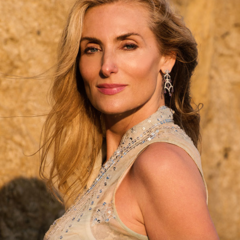 "Alice is one of the most sacred, intuitive, powerful, and fun healers I've ever worked with. Over the years through her guidance and safe space, I've boldly delved into my inner worlds for deep healing, and established healthy daily disciplines. I trust this woman with my life. If you have the rare opportunity to have an experience with her...do not hesitate for one moment, you may miss one of the most revealing opportunities of your lifetime." "Working with Alice has been one of the best decisions I have made. Her heart led advice and wise and disciplined guidance is the perfect future focused manifestation formula for success. Alice comes from a placed of deep love and authenticity that inspires new levels of conscious awakening and goal oriented results. What a true blessings she is. I am deeply grateful for her influence in my life." 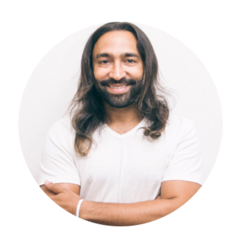 "Alice developed an amazing modality that assists others in finding their own unique path to true health. She understands and practices the holistic path that it’s the Body, Mind and Spirit that leads to true health and healing. Bottom-line, Alice puts the HEART and HOPE back on the Path to Good Health." We Review your History Your Goals (kept one week prior to session) Your Fianances Your Projects Your Passions We Create Customized Desire Map Vision of Your Future Self Care and Self Honoring Practices SMART Goals We Manifest Your Goals and Visions Around Your Dreams and Desires Self Love. Self Care Self Worth Abundance Your Destiny! Vitality + Energy + Weight Loss + Radiance. 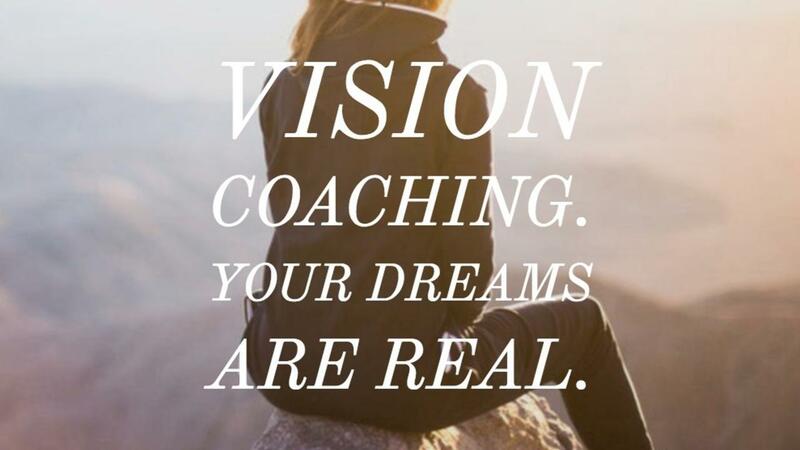 We boldy look at your Goals and Dreams unearthing limiting Beliefs and Fears. We use a combination of Loving Whole Foods + an Intuitive Eating process. You are supported to manifest Your Goals and Visions Around Your Wellness and Your Body Temple Restoration. Self Love. Self Care Gentleness and Compassion. 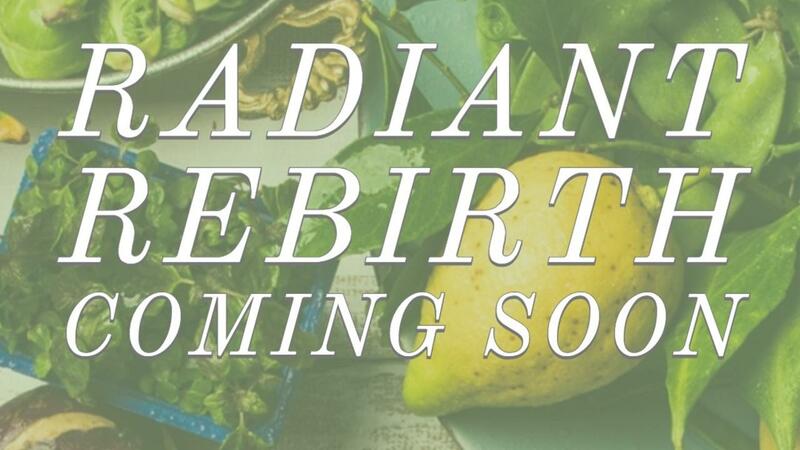 Radiant Wellness! Deep healing, massive transformation, and pure MAGIC??? 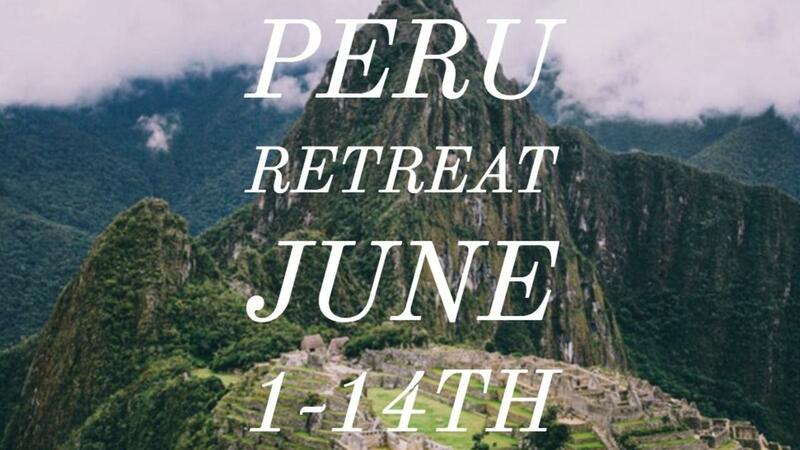 Experience sacred and holy sites that will purify your mind, body and soul. We will support you through this experience with preparation and integration. We have an extraordinary team of sacred facilitators guiding this journey of expansion. Let's dive deep and explore your desires, goals. 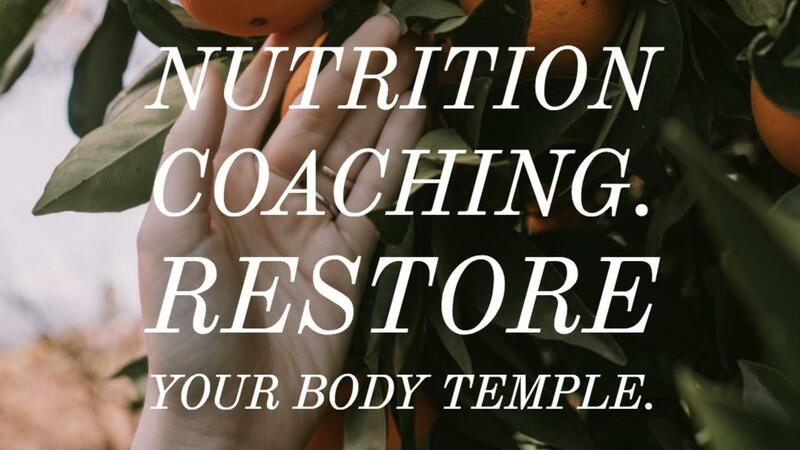 Coaching can be focused and tailored to you and can include: Holistic Nutrition, Life Coaching, Yoga & Meditation. 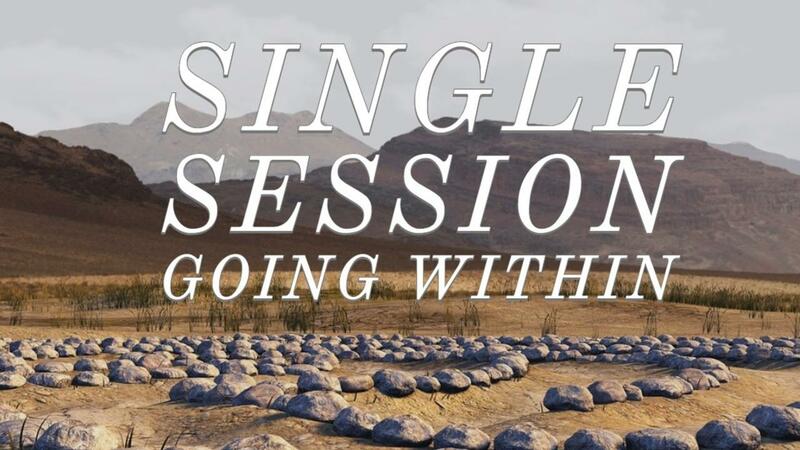 Sessions start at 1.5 hours. In the words of late poet Mary Oliver, here is to "Your one wild and precious life." "I tell everyone who will listen that Alice Fulks saved my life. Many people tried to help me, but Alice was the only one I could truly hear. Her coaching and teachings rang true, felt right, and brought me real peace. Because of the work we did together to clear away my old "stuff", I now live a life I truly love." "I tried classical therapy. I tried coaching. I tried a clinical psychologist. I tried a medical therapist…I tried hypnotherapy and past life regression. I wrote in my journal. I traveled to holy places to bow my head. I took weekend workshops. I tried group therapy… Then I found Alice. 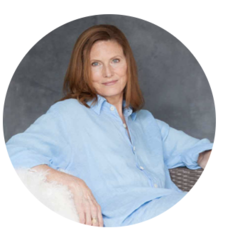 Her personal experience, her insight, her kindness and her vast knowledge of techniques that work, helped me heal my past…and find the courage to make meaningful changes in my life. For this I am truly grateful. " "Alice is one of the most unique people I have ever met. She’s an amazing combination of pragmatism and spirit. The result is a person who knows, step by step, how to to guide you to your inner divinity and health. It’s very rare to meet someone that has so many gifts, and is able to use them in a such powerful way. Alice embodies a grace and honesty that can truly change anyone’s life, and that’s exactly what she did for me." Sensitizing to Body's Natural Rhythm. 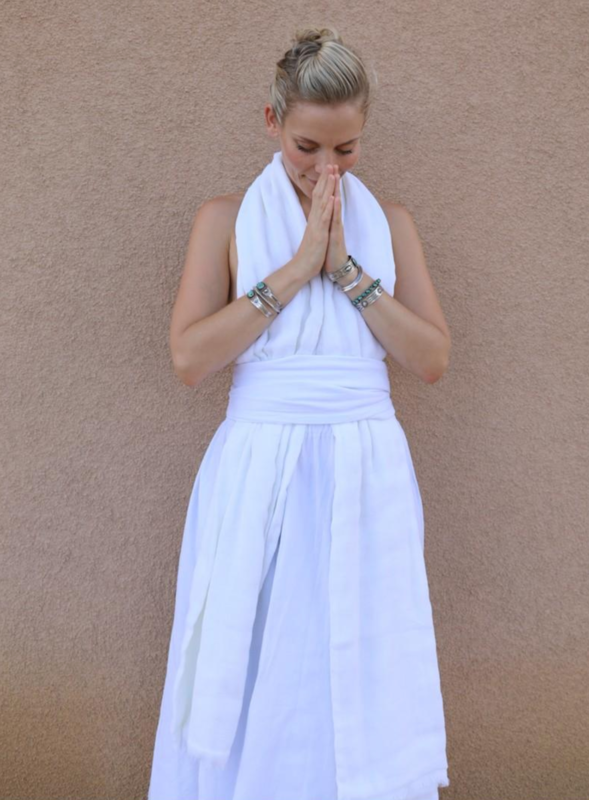 *Live Online Morning Kundalini Yoga for Vitality and Radiance. *One on One Nutrition Consult focused tailored to your beings' Individual needs and wants. *Printed Journal delivered to you. *Private CommUNITY where you will build the kind of Connections and Friendships that will last a Lifetime. 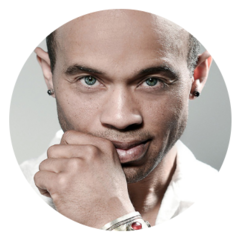 *Resource List of Potent Wellness Practitioners to Support You. *Lifetime Access to Content and Private Facebook Page. *doTERRA oils + supplement kit 30+ Day supply. 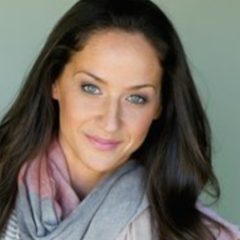 Alice is a Certified Holistic Nutritionist, Wellness Coach, and a Kundalini Yoga and Meditation Teacher. 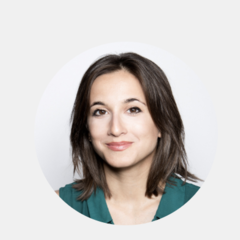 Alice is not an MD, PA, OD, ND, Licensed Dietician, and does not diagnose or treat disease. All information is offered to assist one's innate ability to balance body, mind, emotions & spirit. Clients are encouraged to seek advice from medical doctors in addition to considering complementary and alternative practices. FREE RADIANT LIFE STARTER KIT! Enjoy the Complimentary Radiant LIfe Starter Kit and in the words of the late Mary Oliver, Dive Deeper into "Your One Wild and Precious Life!" Access My Free Starter Kit!